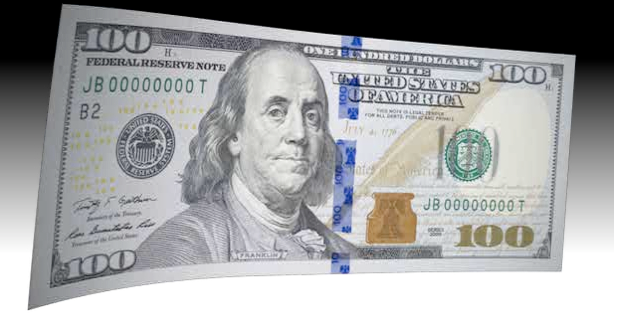 The Federal Government recently printed One Billion (1,000,000,000) newly designed $100 Dollar Bills only to discover that one third (330,000,000) were subject to a paper/printer flaw in which the holographic features of the bill caused the paper to crease resulting in an area that had no ink coverage. Each bill costs .12¢/ea to print, according to my calculations the entire print run cost $120,000,000.00 with an error cost of $39,600,000.00. How, after years of development, does an inexcusable error like this occur? I guess the Federal Government can afford to make these costly mistakes and pass the expense on to the US taxpayer? Can of worms, don’t want to go there. A mistake of this magnitude is so astronomical it could erase dozens of senior-level careers in a single status call. ← Paper, beyond the sheet.